Helping our children one T-shirt at a time. Malaysia Day is a very special day for all of us patriotic Malaysians. It marked the day when Malaya, North Borneo and Sarawak joined forces to form Voltron Malaysia back in 1963. So, we at Rojak Daily have decided to do something special to celebrate the occassion: by launching a very special and limited edition Malaysia-themed T-shirt that you can actually purchase (and help underprivilleged children along the way). For this project, we worked together with local clothing line Havan Clothing to design and bring the T-shirt to life. A local start up founded in 2016, Havan Clothing is doing an awesome job empowering underprivilleged and shelter home children by turning their artwork into minimalistic T-shirts that the sell on their website. The profit from the T-shirt would then be used to sustain learning programmes to help these children succeed in life. You can check out our interview with their founders here (trust us, it's an awesome read). 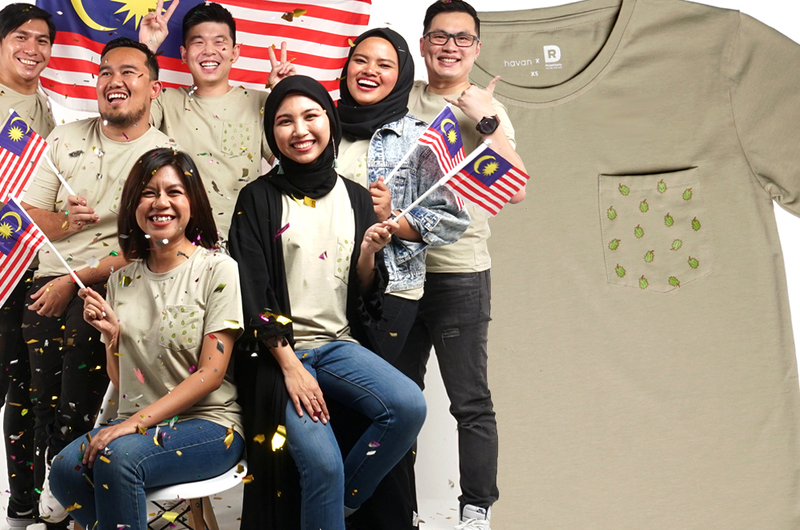 Companies who are low-key trying to help the community get our utmost respect, and that is why we've decided to work together with Havan Clothing to produce a limited edition T-shirt to celebrate the day where all Malaysians stand as one. And there's nothing that brings Malaysians together more than our love for the King of Fruits: the durian. 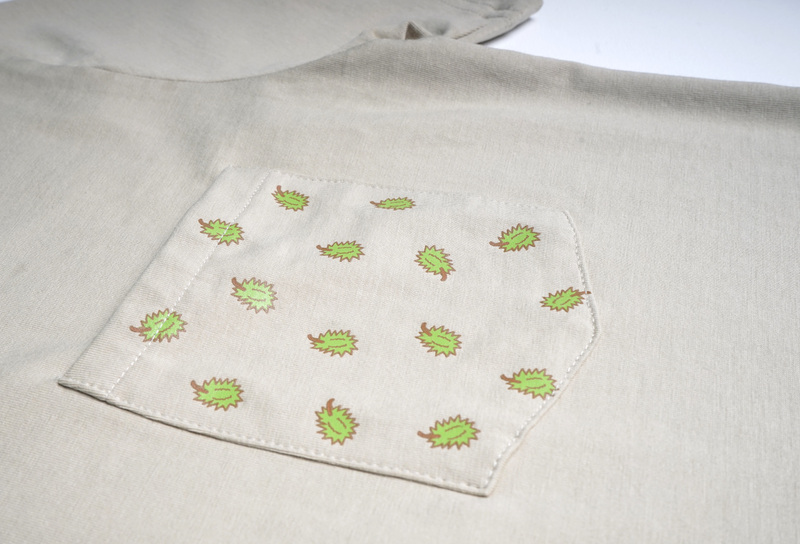 Titled 'Durian Durian', the T-shirt was designed by 14-year-old Alex. According to Alex, the inspiration for his artwork came after he saw Malaysians, regardless of race and religion, come together to have durian by the roadside. "Many people have different opinions about durian - some like it, some don't. But durian can bring those who have a common interest together. Sitting around together, enjoying the moment. "Just like what Malaysia Day is about - being together with your fellow Malaysians and sharing the same love for something," said Alex. 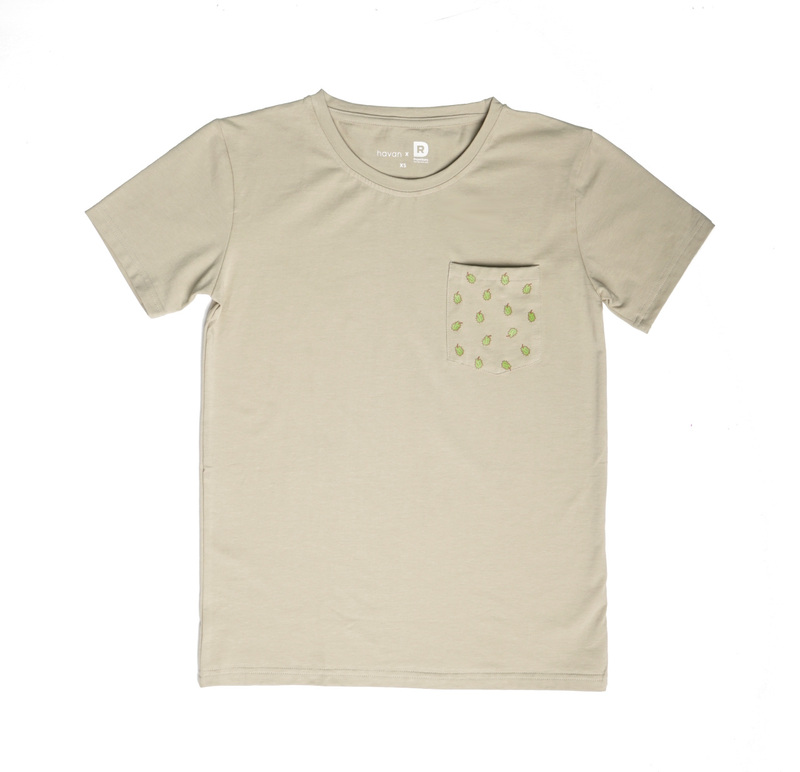 The T-shirt, featuring Alex's cute hand-drawn durian motif on the small front pocket, is made from 95 per cent comfy cotton and 5 per cent flexible spandex. Not only does it feel good to the touch, the T-shirt accentuate your, erm, 'assets' because it has a slim cut. On top of that, the neck opening gives you comfortable space to breathe. 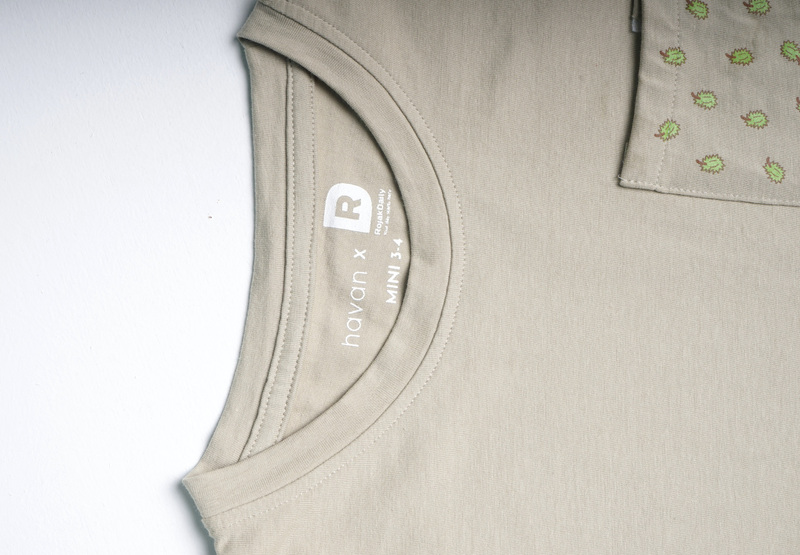 And yes, this tee stretches subtly, which lets you deal with your all-day activities without ever getting in a way. The 'Durian Durian' T-shirt is unisex and available from sizes XS to XL. And here's the cute bit: they even have the T-shirts in children sizes! Perfect family tee, if you ask us. Like we mentioned above, the 'Durian Durian' tee is very limited edition and printed in a very limited quantity (because we want to make it special, you see), so when it's gone, it's gone forever. The tee goes for RM49 per piece, and the proceeds will be used to help the founders of Havan Clothing conduct and sustain learning programmes for underprivilleged children like Alex. And in the spirit of Merdeka and Malaysia Day, RM1 from each T-shirt sold will go to Tabung Harapan, so you can kill two birds with one stone when you purchase the 'Durian Durian' tee. To purchase the tee and support Havan Clothing in their quest to make Malaysia a better place, click on this link right here. You can also follow Havan Clothing on Facebook and on Instagram.